Samsung patents smartphone-connected ‘sports glasses’, Gear Glass incoming? Earlier this month, not-always-accurate blogger Eldar Murtazin had speculated that Samsung was working on a Google Glass-like product – called Gear Glass – and now, a patent unearthed by The Wall Street Journal lends importance credence to that speculation. 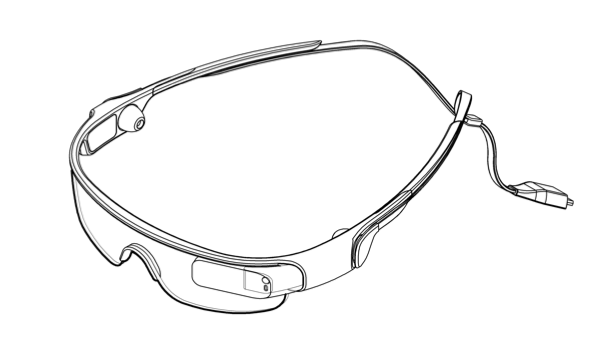 The patent shows a pair of glasses with side buttons and a camera on the front, and the description says the glasses can be paired with a smartphone to display information and offer a few controls. There’s a pair of built-in earphones that would let users listen to music or receive phone calls. 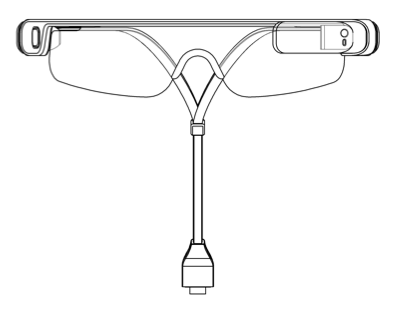 However, Samsung’s “smart” glasses don’t seem to be wireless, as a wire is shown connected on both sides in the patent filing, though that will likely change when the product goes through further development and makes an appearance in market. The Galaxy Gear has already given Samsung a head start in the wearables market, and if they can work fast on these glasses, then they might just get a considerable lead over the competition. Here’s hoping they don’t mess it up.